No one asked you to. You can install v3 any time you like, either as a download from here or using Google beta programme. No reason to go back to v2. Not sure what category you're in? but Definitely some bugs with the album artist tags causing these issues. I'm wondering if this is because you have no "album artist" tag? 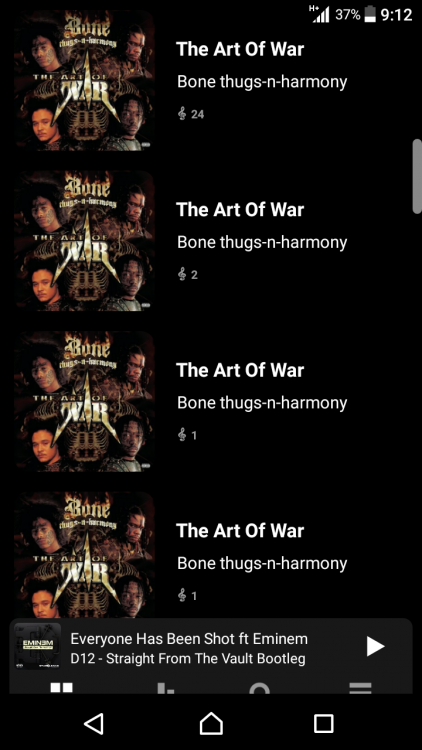 Poweramp appears to prefer to sort albums by the "album artist" tag. If your files are tagged with the correct "album artist" tag (various artists for example for compilations) then Poweramp will group it as one album in "albums" and "album artist" category. Where Poweramp goes haywire is in the "artist" and "genre" category. Poweramp will group the songs by artist but will separate the songs because of the "album artist" tag. So if you have an album that has the same "artist" tag and the same "album" tag but a totally different "album artist" tag for each song then it will list multiple versions of the same album. Here's an example below of an album that is not a compilation album, but it has a few songs that have a album artist tag that is different, because they are solo songs. Because the "album artist" can't be seen, it looks like duplicates. I am just like the other one asking for final and that is not final if it is not available. So it is either stick to v2 or stick to beta of v3. I live in USA (Utah) for exact, and that should not be held off just because of play store. So the only option is no final of v3. Keep saying what your saying but this should be not a waiting game. Plus, like the other said. I can't stand buggy software and prefer to take v3 final over beta any day. On my account it shows update November 15th, and that should be version 809 as final but installs as v2 instead. USA must be last in the country stage roll out. That is what Samsung does with their roll outs too. I just did what you said but went out of beta program and uninstalled v2, then came here and downloaded apk v3 809 and installed and it did just fine this way as final without the wait. Oh well, guess if you want final without the wait, that is the only option if you don't have it on play store. So it is either stick to v2 or stick to beta of v3. That sums it up quite succinctly, yes. v3 will hit all markets in time, but it's never a good idea to roll a very major update out to all users at once. I guess because a tiny phone squeaker is hardly capable of properly playing music at all, let alone in high res. Worked just fine this way. Just update from the site with 810 and no reason to stick on beta either. 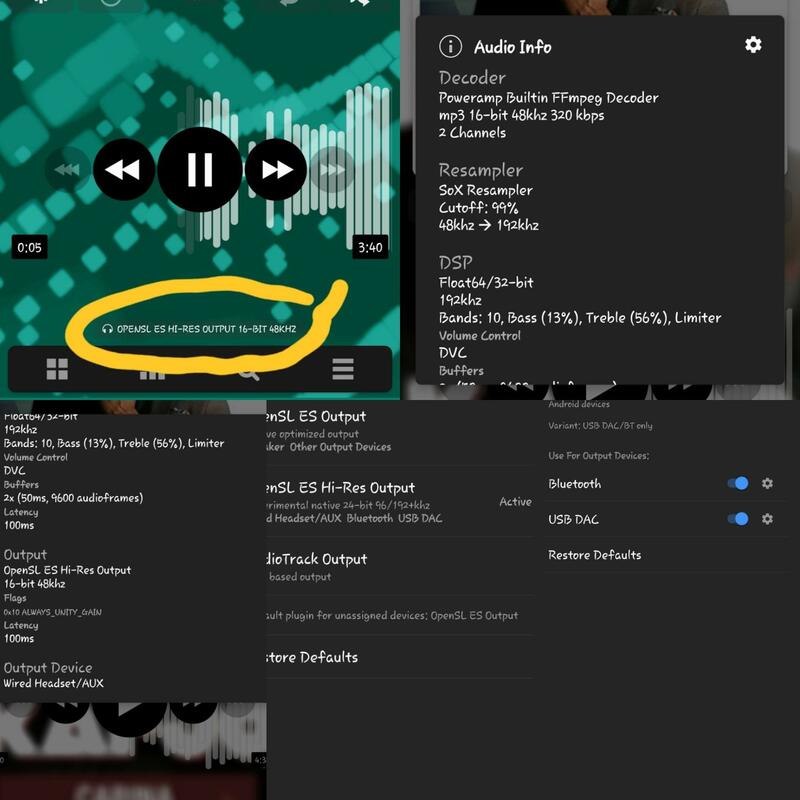 Poweramp has always worked very fine for me but I've encountered this weird issue, it looks like Hi Res audio is broken but in player menu it says playing in Hi Res, I've added some screenshots so maybe you could help me. Love the work, love Poweramp and thank you for this great app. Ps: my apologies if this has already been asked and answered.